Springtime Special!!! 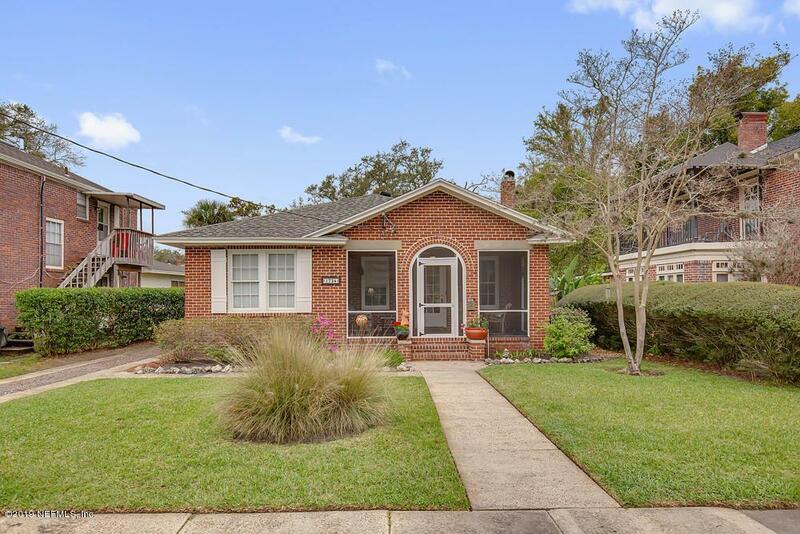 Beautiful updated brick cottage home in San Marco. 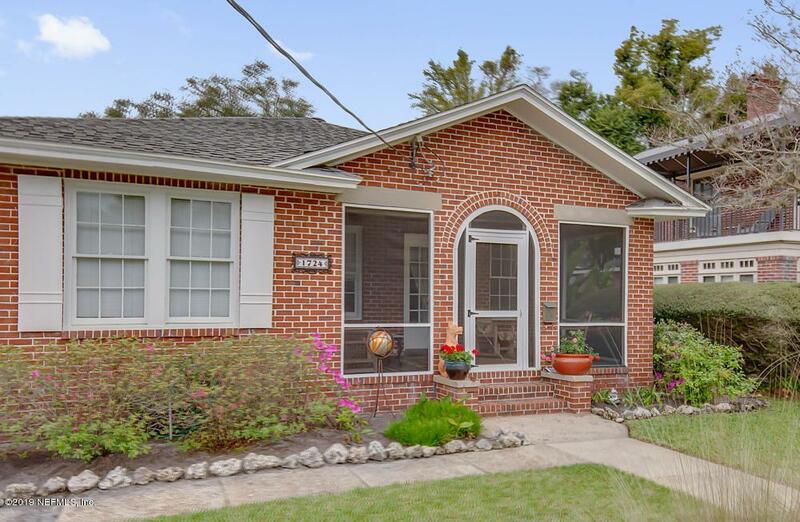 2 bedrooms, 2 baths, charming living room with fireplace, formal dining room, plus a sitting room/office off the kitchen. Spacious front porch is screened. Fresh paint throughout. Gorgeous wood floors throughout. Updated bathroom with marble floor and clawfoot tub. Crystal doorknobs add an authentic flavor to the home. 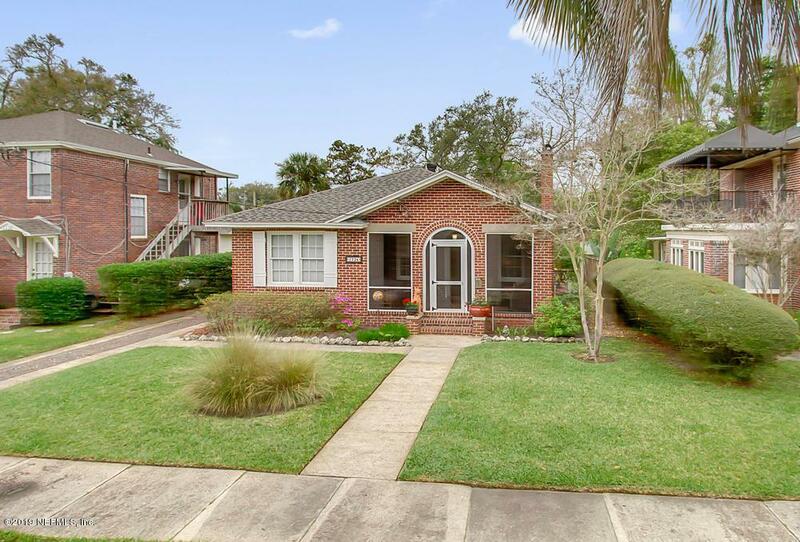 Kitchen with updated granite counter tops and bay window that overlooks beautifully maintained garden. Home is beautifully decorated and has a great feel. New roof will be installed before closing. 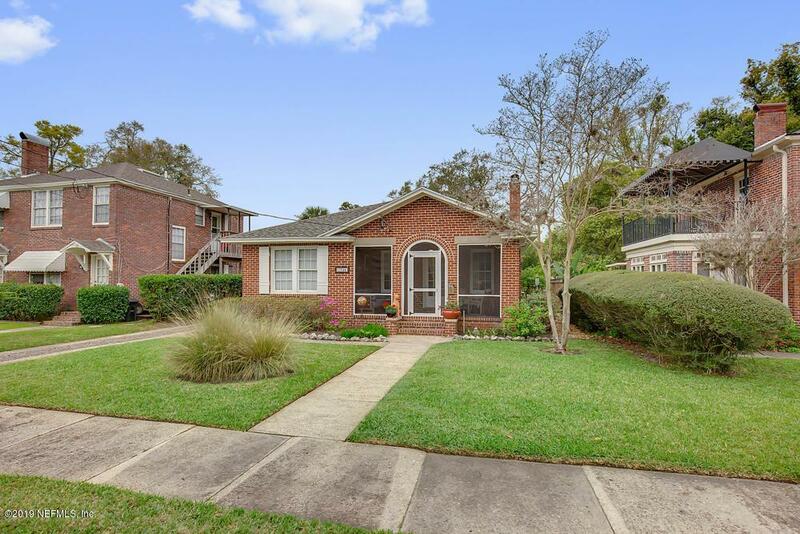 Driveway alongside home leading to detached garage is large enough to accommodate four vehicles. This home did not flood during Irma; current elevation certificate shows flood ins NOT required.